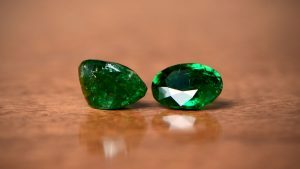 What is my birthstone? 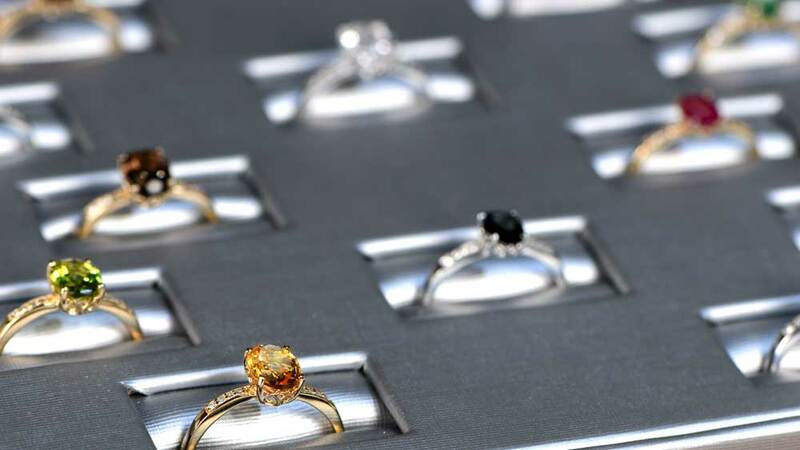 The birthstone may be able to tell you a lot more about your personality than you realize. Here is the list of the birthstones for each month. Tell us what you think in the comments below! Feel free to explore our website and browse through our rare and beautiful pieces. 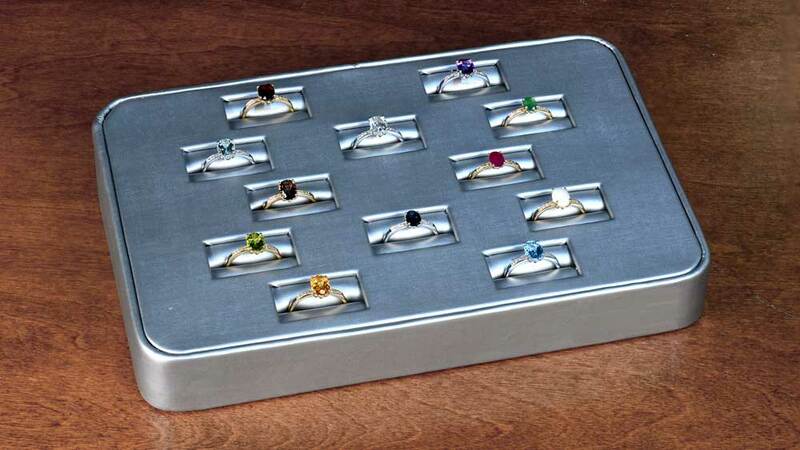 The birthstone for each month is a matter of contention. Not everyone agrees with each other when it comes to which birthstone represents which month. We have followed the most traditional opinions. In the situation where there are a few stones, we’ve only added the most popular stones. Navigate the months and discover more about your month’s birthstone. We also placed links to shop the birthstones. 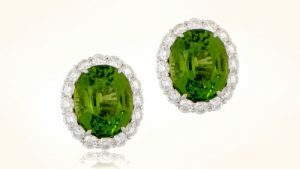 Emerald, the symbol of rebirth and love bring a deep rich green color that is unrivaled in any other gemstone. It is appropriate that it is the birthstone for May, with all it promises for the spring and summer ahead. Ireland, with its lush, rolling green lands is known colloquially as the Emerald Isle. Pearl, Moonstone, and alexandrite make June the first multi-birthstone month. 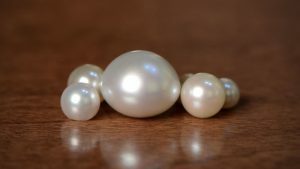 Pearls have been revered throughout history, ever since man first opened a mollusk to find one inside. Moonstone is a more recent addition to the birthstone list but was known and treasured in ancient times. For ancient civilizations, moonstone was associated with the lunar gods. Alexandrite is unusual in that its color appears differently under different light sources. From green in natural daylight to red in incandescent light, it truly is a wonder of nature. Ruby rivals the diamond for connection to the heart. 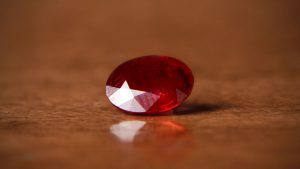 Forever the precious stone of love, health and wisdom, the deeper the red color, the more good fortune a ruby is said to bring. The most desired gemstone throughout history is still it’s most precious. Peridot isn’t a birthstone whose name easily rolls off the tongue. It is unusual in the fact that it is one of the very few gemstones to only occur in a single color. The olive green color does come in varying shades, but never anything outside a base green. Gem quality stones of this instiller of power and influence are extremely rare, with most finds being barely larger than grain size. Sapphire is another precious stone which occurs in a variety of colors. It is, though, the deep rich blue color which we all love and want. As a birthstone, it is a little different in that it protects those around you rather than you as the wearer. It is also a symbol of loyalty and trust. Opal and tourmaline both represent October. 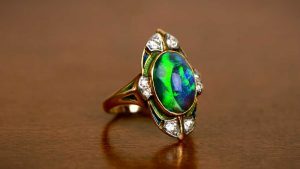 Opal, with its rainbow of colors, is said to collect all the benefits of every other gem in a single stone. The blend of colors in each opal is unique, making each stone as individual as the wearer. Tourmaline is another gemstone available in a rainbow of colors, depending on other elements being present. The stone is highly unusual amongst minerals as it is magnetic. Citrine’s warm yellow/brown color is said to have been a gift from the sun. As the giver of life, the association with the sun also provides the belief that citrine is a healing stone. 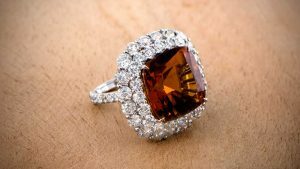 Topaz is another yellow-brown stone and is mentioned in the bible. 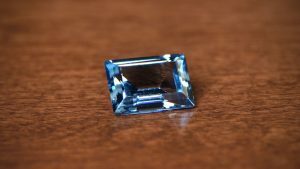 An old English superstition maintained that topaz could cure lunacy, despite no medical or anecdotal evidence to support the claim. Zircon, tanzanite, and turquoise are all birthstones for December. Examples of all three can be found in the blue part of the color wheel and may have caused the color to be associated with winter. 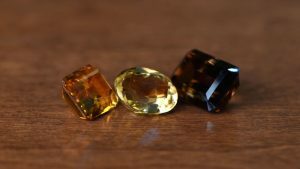 Zircon, despite its name, is not related to the common diamond substitute cubic zirconia. 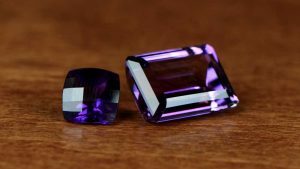 Tanzanite is named for the only country on earth in which it is found, Tanzania, and has only been commercially available since 1968. Turquoise, for several thousand years, has been revered as a holy stone in many cultures. 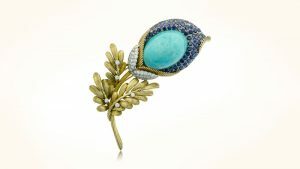 Popular as a stone in decorative jewelry or art pieces, turquoise is one of the most beautiful of all gemstones. Birthstones have long been believed to bring a combination of good luck, good health, prosperity, love and many more benefits to the wearer. Each stone is associated with a particular month is a tradition going back as far as the 15th century. Some changes have taken place in the list over the years, with several months now having more than one birthstone. 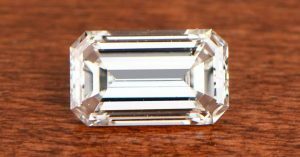 The latest “official” list was given by the American Gem Trade Association and finalized in 2016. This update added alexandrite as a June birthstone and tanzanite for December. There’s little if any evidence, of course, to suggest that any of the birthstones do bring the wearer good health or fortune. This lack of data hasn’t stopped the purchase of birthstones. Birthstones are growing more popular each year. 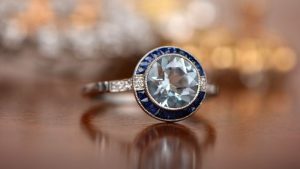 One advantageous effect of a birthstone is its direct connection with a birthday gift. It affords gift-givers the ease of knowing what to buy. Magical powers or not, it’s a fantastic system. Most birthstones are readily available, and the purchased stone doesn’t need to be of the highest quality to still carry the love and thought that went into choosing it. Recipients of birthstone gifts are often unaware of the significance, but start to learn more about their own stone. Some go on to become collectors and enjoy their birthstone enormously. Each precious or semi-precious stone associated with a particular birth month has its origins in ancient history. There are those who believe that gemstones offer luck, good health, and protection. The variables of the myths range from stone to stone. 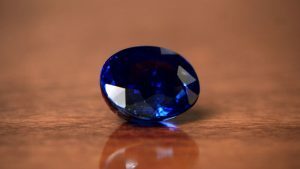 The birthstone list as we know it today isn’t always representative of that used in ancient times. Often, red stones were all grouped together according to color, rather than by mineral content. The tradition of a single stone for a single month is actually only a few hundred years old. Over the centuries, some stones have actually moved around between the months. The lack of any kind of “official” list means that the US one is different to the UK, for example. Furthermore, some months have more than one associated birthstone. The reasons behind these multi-stone months are unclear. Feel free to share this infographic on Pinterest or any other social networks. What is your birthstone? Tell us in the comments below.